Nimble is your clever CRM for G suite and office 365. 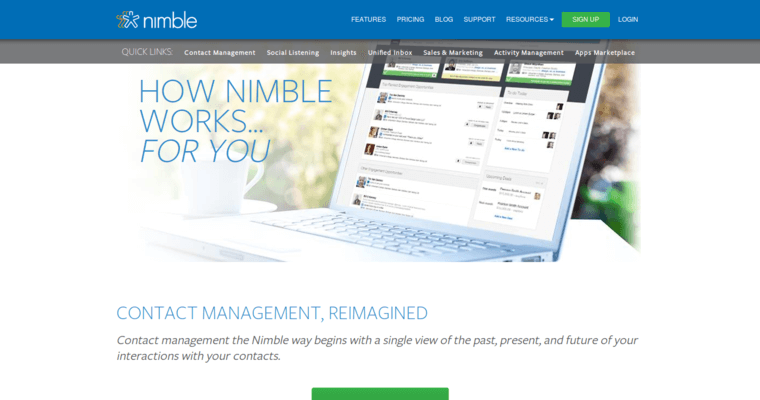 With Nimble, you will have everything required for your growth without having to work for it. 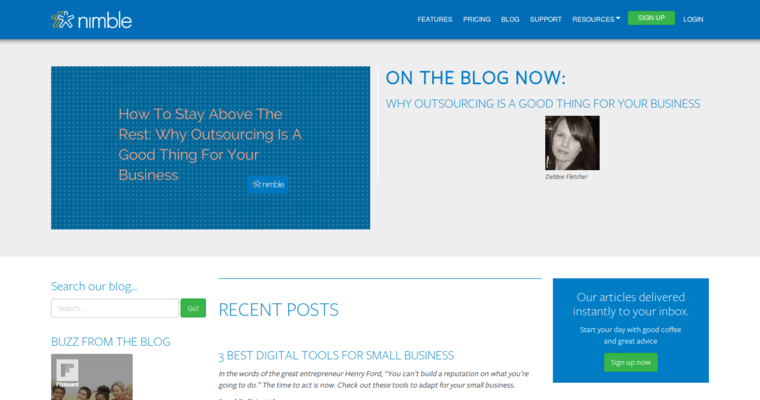 Here is how Nimble helps its clients. It Manages Relationships Data-entry-free Nimble has a feature that allows it to automatically update with the right prospects and client details from many data sources. Clients are able to get information such as where they go to work, where they schooled, their places of residence and how they are connected to you. See Customer Interactions with Ease You can have anything you need about team client engagement at the tips of your fingers with Nimble. Nimble collects all calendars, emails, contacts and social interactions of your clients from any place and keeps it updated. 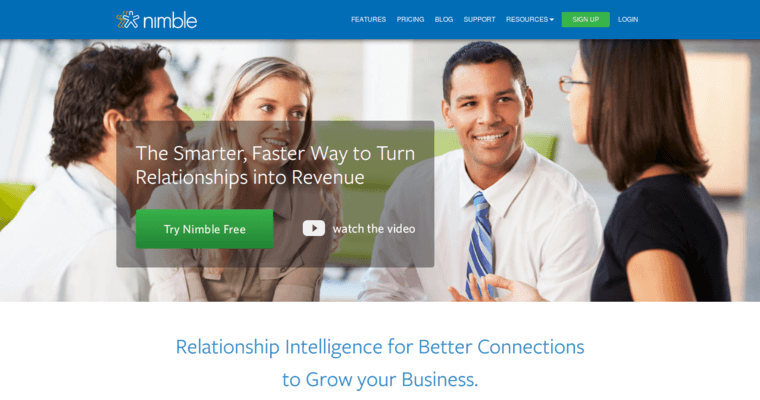 Smart Results Nimble has relationship intelligence that is very powerful. It is able to detect key contact information and convert connections into relationships and conversions into revenue.